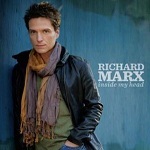 Frontiers Records is honoured to welcome Richard Marx to the label for the exclusive release of “Inside My Head” - a 2 CD album set featuring rare and new material along with new recordings of his greatest hits - on June 1st in Europe. The first single “Wouldn't Let Me Love You” will be released digitally on May 1st and can be exclusively streamed in full on the Frontiers Records webradio www.frontiers.it/webradio. A video clip is in the works. A gifted singer and consummate songwriter Richard Marx has left a powerful mark on the music industry over the past 20 years. With 30 million records sold, 3 Grammy Awards nominations, a Grammy Award for “Song of the Year” and an American Music Award nomination for favourite male singer Marx, who has written fourteen #1 songs and had thirteen US #1 songs on the Billboard charts, has remained a fixture on pop and adult contemporary radio for years. Marx was the first male solo artist in history to have his first 7 singles reach the top 5 on Billboard’s singles chart, including the 1 hits “Hold On to the Nights,” “Satisfied” and the worldwide classic “Right Here Waiting.” This feat remains unchallenged. He has also emerged as a first rate producer working with some of the biggest names in the music business including *NSYNC, Barbra Streisand, Josh Groban, Kenny Rogers, Sarah Brightman, Lara Fabian, Sister Hazel and The Tubes among others. More recently, he has written and produced records for Daughtry, Leann Rimes, Emerson Drive, Natalie Cole, Keith Urban, Kenny Loggins, Michael Bolton and actor Hugh Jackman. The second, bonus CD contains amazing new versions of 12 of Marx’s greatest hits, including “Right Here Waiting”, “Angelia”, “Don’t Mean Nothing” and “Keep Coming Back”. “Inside My Head” will be released in a lavish digipak edition and will include the following songs: CD 1: Had Enough; Wouldn't Let Me Love You; Like Heaven; On The Inside; Through My Veins; Always On Your Mind; Loved; Come Running; All Over Me; Scars; Done To Me; Over My Head; Part of Me. CD 2: Don't Mean Nothing; Should've Known Better; Endless Summer Nights; Keep Coming Back; Take This Heart; Hold On To The Nights; Angelia; Hazard; Too Late To Say Goodbye; Satisfied; Right Here Waiting; When You Loved Me.